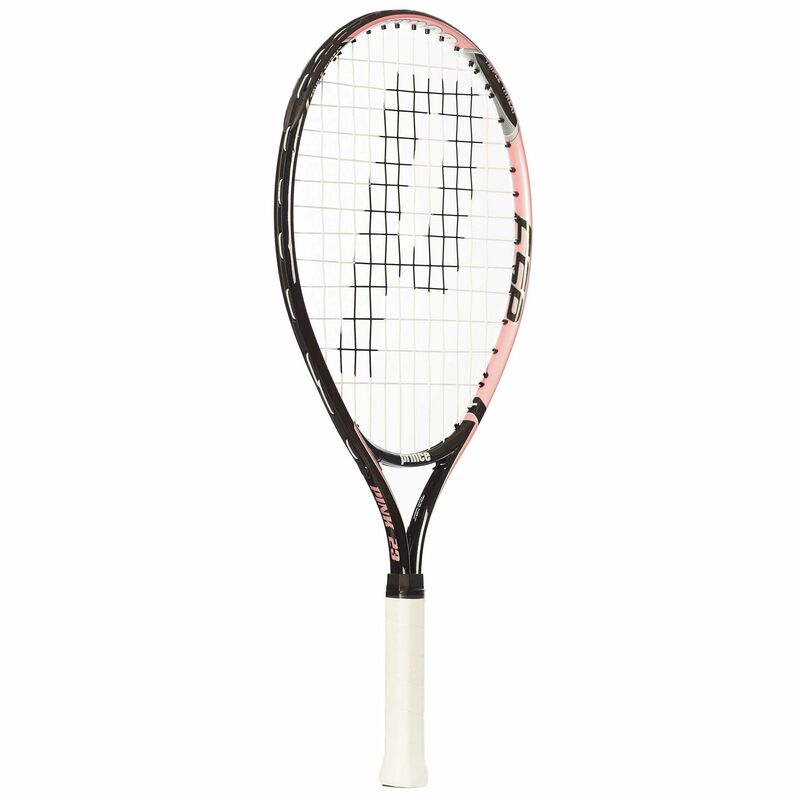 The Prince Titanium Pink 25 junior tennis racket is part of the Aluminium series and features a head size of 110in2 (710cm2). The racket is head light balanced for exceptional manoeuvrability and offers a 14 x 15 string pattern. The Pink 25 incorporates the Extreme String Pattern technology that guarantees more consistency and heavier, more penetrating shots. It weighs 235g (8.3oz) and offers an O-Beam aluminium composition. for submitting product review about Prince Titanium Pink 25 Junior Tennis Racket.